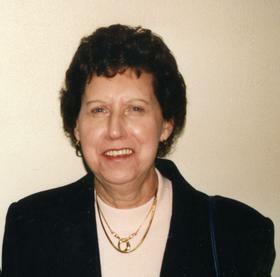 Phyllis Joyce Glass, age 84, went peacefully to be with the Lord on Friday, October 12, 2018. The daughter of Gerrit and Effie VanderVeer, Phyllis was born on September 30, 1934. In 1958, she married Bruce A. Glass, her loving husband of 47 years. Phyllis was a devoted wife and mother with a gentle spirit, and a deep love for the Lord. She and her husband Bruce, lived in Zeeland, and later Holland, as they raised their four children. Phyllis was a hardworking person, beginning as a young girl with her sister Genevieve on their parents’ farm in Noordeloos. As a young woman she was employed at the Holland Shoe Factory. Later, Phyllis became an LPN and worked caring for the elderly at Birchwood Manor (Holland) and Haven Park (Zeeland). She was also employed at Lifesavers of Holland for many years where she made many close friends. Phyllis loved animals, especially her dogs. She also enjoyed gardening and bird watching. She was a very creative person, who enjoyed sewing and crafts. She loved making beautiful things for her friends and family. Phyllis was preceded in death by her parents, her husband Bruce, her daughter Elizabeth “Liz” Glass, her son Alan Glass and her sister, Genevieve (Henry) Geurink. She is survived by her daughters, Kathleen Daleiden of Holland, Leah (John) Esch of Laingsburg and her beloved grandchildren, Kyle (Melissa) Daleiden, Karen Glass, Gerrit Esch, Christina Ellis and Linz (Jamal Sharps) Farino, as well as many great grandchildren, nieces, and nephews. Funeral services will be 11 am Saturday (October 20) at Central Park Reformed Church, 614 Myrtle Avenue, with Rev. Kevin Kleinheksel officiating. Burial will be in Noordeloos Cemetery. Visitation will be 6-8 pm Friday (October 19) at the Dykstra Funeral Home-Mulder Chapel, 188 West 32nd Street. Memorial contributions may be made to the Holland Rescue Mission or the Harbor Humane Society.